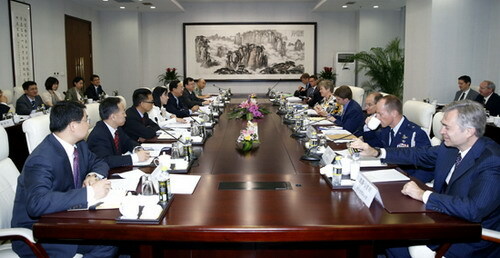 On June 6, 2013, the sixth round of China-US consultations on strategic security and multilateral arms control was held in Beijing. 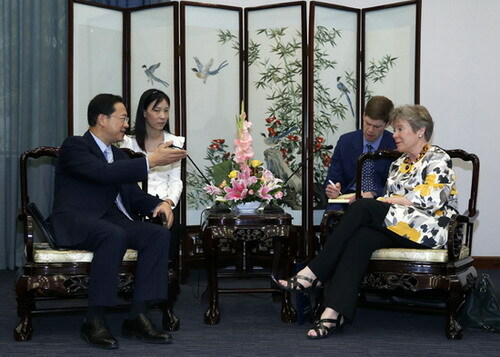 Both sides exchanged in-depth views on topics of China and US building up a new type of relationship between two major powers, regional hotspots and multilateral arms control. They agreed to continue dialogue and cooperation based on mutual respect, equality and mutual benefit, to enhance mutual trust on strategic security, to promote the development of China-US relationship and to join efforts to safeguard world and regional peace and stability.